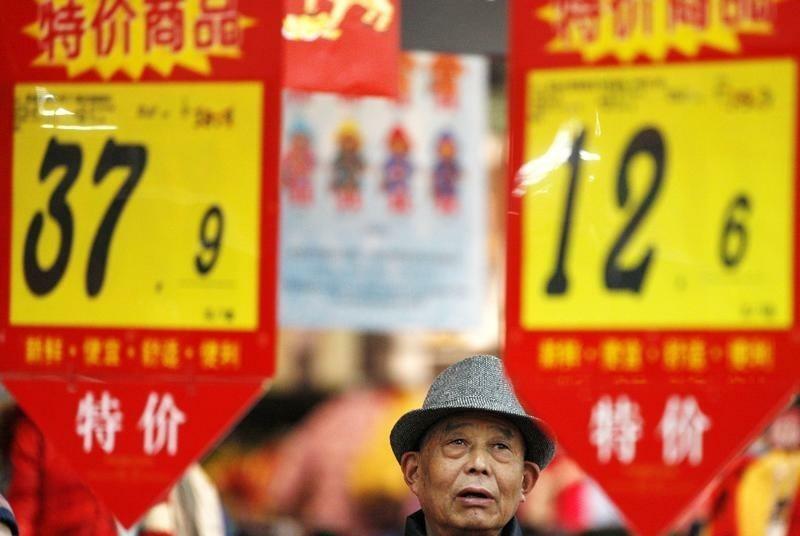 BEIJING (Reuters) - China's consumer inflation likely edged up in June as food prices steadied, while producer prices extended their decline well into a fourth year, reinforcing expectations that more support measures are needed to revive sluggish demand. Indeed, stronger price pressures may not do much to allay concerns about the health of the world's second-largest economy, where a recent 30 percent slump in its stock market has raised fears about further threats to China's sluggish economic growth. Consumer inflation is expected to have picked up but only marginally to 1.3 percent in June from a year ago, compared with May's 1.2 percent, the median forecast of 40 analysts polled by Reuters showed. Yet the producer price index, which has been pressured by lower commodity prices and excess capacity at factories, is seen falling 4.5 percent, compared with a 4.6 percent decline in May. That would mark its 39th straight month of declines. "The sequential decline of food prices has continued in June on seasonality, though at a milder pace, as vegetable prices narrowed the loss and pork prices posted another solid gain," Wang Tao, an economist at UBS, said in a note. "In contrast, domestic raw material prices stumbled again, weighed by sluggish domestic production and stuttering global commodity prices," she said. With consumer inflation running well below the Chinese government's 3 percent target for the year, the central bank has room to loosen monetary policy if needed. Hurt by a cooling property market and slowing growth in investment, manufacturing and retail sales, China's economy grew at its slackest rate in 6 years in the first quarter, expanding by just 7.0 percent. Many economists believe it lost further momentum in the spring. Second-quarter growth data is due on July 15. To support the economy, the central bank has already lowered interest rates four times in six months and reduced the amount of cash that banks must hold as reserves. Some analysts believe China could lower rates yet again, alongside further reductions to the reserve requirement ratio to ensure the economy grows by around 7 percent for the full year, as targeted by the government.